A new bipartisan Senate bill that would authorize more than $1 billion every year to critical state-level fish and wildlife conservation work is drawing the enthusiastic support of public lands sportsmen and women. Backcountry Hunters & Anglers (BHA) commended the introduction by Senator Jim Risch (R-ID) and Senator Joe Manchin (D-WV) of Senate bill 3223, the Recovering America’s Wildlife Act. Under this legislation, state fish and wildlife agencies and community-led habitat work would be funded with existing federal oil and gas royalties, saving millions of taxpayer dollars and restoring critical habitat. 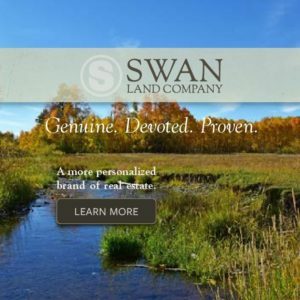 The introduction of the Senate version of the Fortenberry-Dingell bill further advances efforts by a broad coalition of stakeholders, the Alliance for America’s Fish and Wildlife, to develop a strategy for restoring important habitat while also bolstering public opportunities to hunt and fish. Comprised of outdoor industry leaders, state fish and wildlife agency officials, conservation groups, and business interests, as well as hunters and anglers, the coalition has been actively pushing for comprehensive conservation funding legislation since its formation.